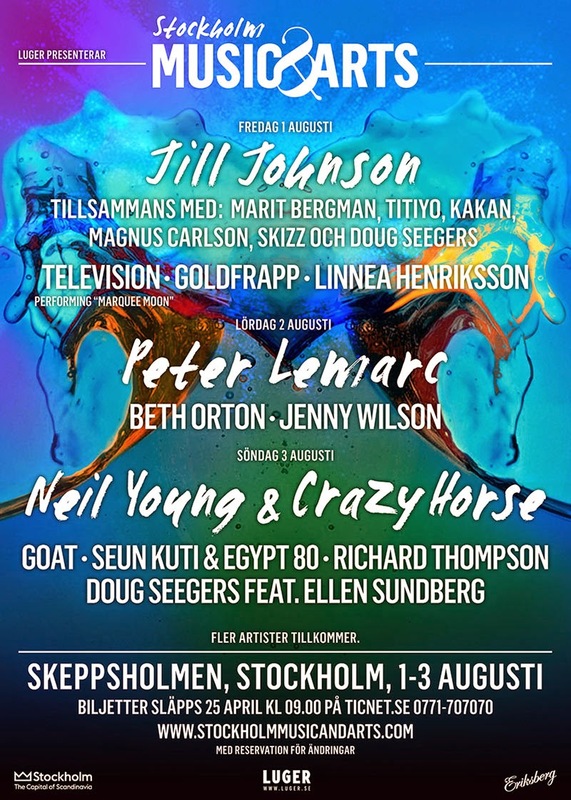 (Click photo to enlarge)Neil Young and Crazy Horse will be in concert in Stockholm Music & Arts Festival, 3rd August 2014. 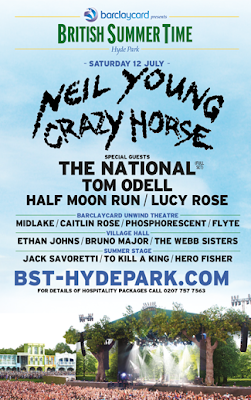 Crazy Horse and Richard Thompson on the same bill? That's my idea of perfection. Anonymous, how did you get that information? 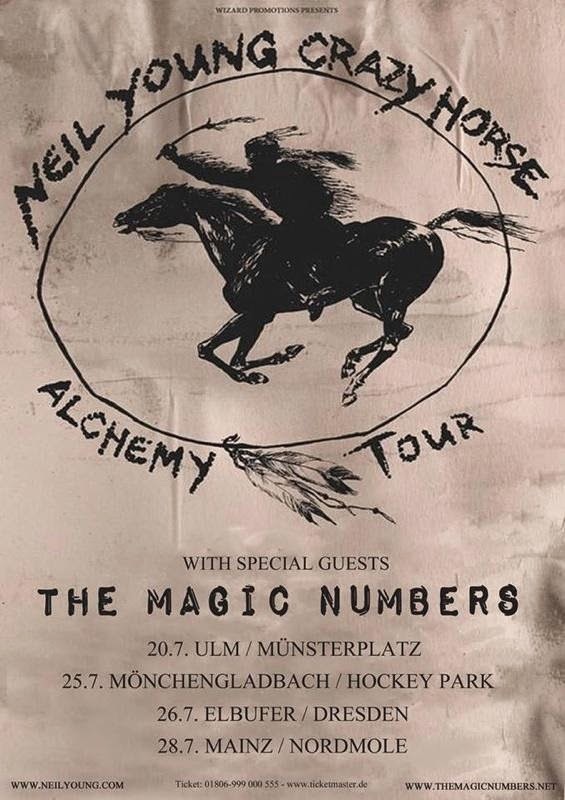 I had a ticket last years cancelled Way out west but haven't received any info about a presale. Shamrock: contact info@wayoutwest.se, they will help you. I got a mail from Ticnet with a code I could use. Thanks for sharing. Can still remember the feeling reading the message on the screens in Gothenburg last year. Everything turned out fine as me and my son handed over our wristbands to my daughter and her friend so they could see their favourite artist the day after. Now me and my son has gotten a new chance. 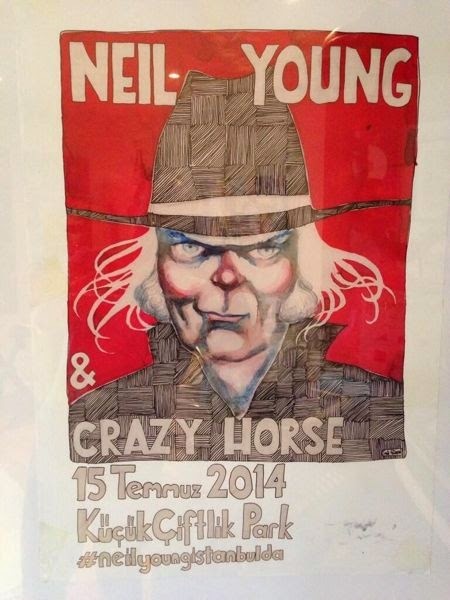 Tickets bought for the show in Stockholm!